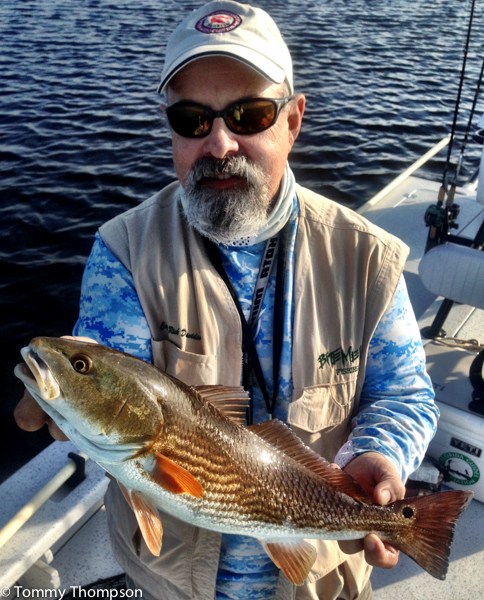 You need to be fishing when the sun comes over Natural North Florida’s coastline–especially in the summer months! There are several reasons to get up early and go fishing on hot summer days. One, if you’re fishing from one of our busy scalloping areas (Steinhatchee, Keaton Beach, St. Marks), you’ll beat the crowds to the water. Another, the weather is more likely to be calm, unlike the afternoons when thunderstorms usually develop. The water temperatures will also be cooler — and finally, the fish will be hungrier! Redfish (red drum) are a popular inshore fish species on Florida’s Big Bend. As summertime progresses, the Big Bend grass flats come alive with bait fish, like mullet, white bait (sardines, glass minnows) and pinfish. 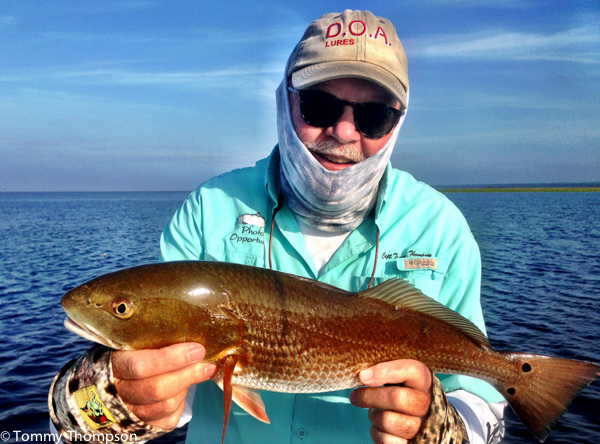 As the sun comes up over the horizon, predators like redfish and seatrout start hunting for breakfast, so you need to be along the shallow shoreline waiting for the feeding to begin. Look for flashing pinfish in the water–or even better, jumping or schooling mullet. Don’t be afraid to get close to shore (if the tide’s rising), as that’s where these predators lurk. That being the case, this is the perfect time to fish from paddle (or pedal) craft like canoes or kayak or shallow draft boats. Artificial lures (topwater plugs, soft plastics and noisy slow-sinking baits) work best for early AM Big Bend redfish.